Fruits and veggies are so important for a balanced diet. They help maintain our gut health, fight disease, nourish our body and flush our systems! This green juice recipe is perfect for Boosting Metabolism, Immune Health, a Digestive Aid and more! And when used properly with a healthy diet it will increase weight loss by eliminating toxins! 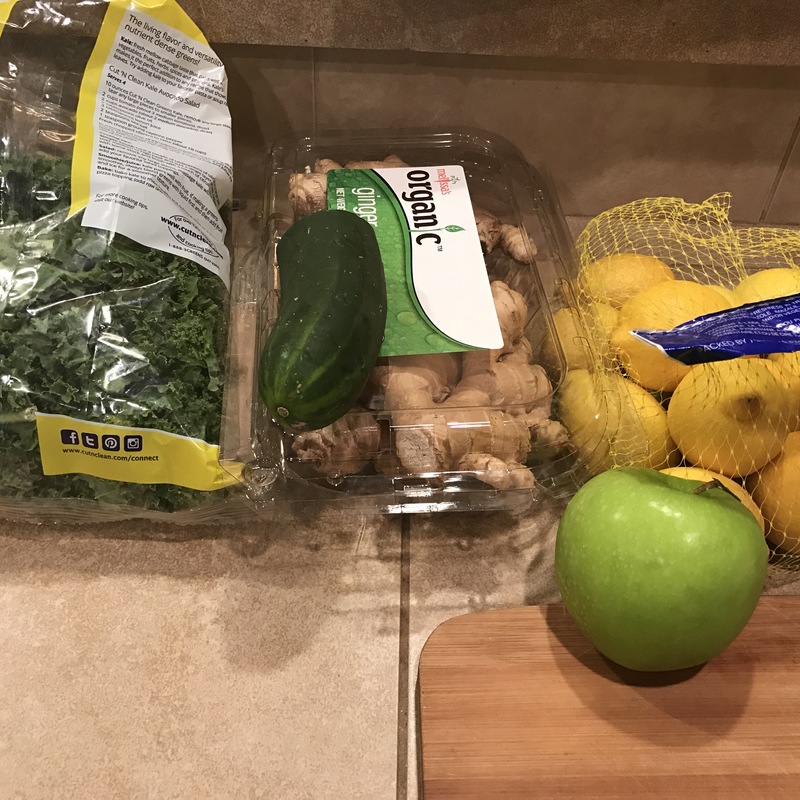 Whether you are an avid juicer or you are more like me and have never really loved juicing I guarantee you will LOVE this recipe! Now I recommend you juice at least once daily in combination with a healthy diet to see maximum effects of the juice. I am not an advocate of complete juice cleanses or liquid diets but rather daily nutrition in a balanced and properly portioned diet. If you do choose to juice for an entire day and use this juice as a cleanse it is a perfect mix to make 3 times daily, however do not maintain and entirely liquid diet for longer than 3 days or it can do potential harm to your body instead of good. Here is my favorite juice recipe! Please let me know what you think and if you have a favorite juice recipe I would love to hear it!